She picked the flower swiftly from the stem, cleaving the head from the body like an experienced executioner. Her basket began to fill to the brim as she weaved from stem to stem, snatching up the flowers. If she met her quota, she might get to work in the drying room later. Where she could sit down. Tara knew no other life than the eight hours every day she spent in the greenhouses, collecting in the crop. She supposed she must have played at one point, but in the ten years she spent as Rattigan’s servant, she never played. When she had come to the greenhouses, she forgot how to play. She looked up, past the iron scrollwork of the pillars holding up the greenhouse, and caught sight of two customers, waiting in the laboratory. She ducked down before they could spy her. Rattigan would not like the customers in their pinstripe and lace to see her. It would lower the tone, he would say. Her parents had been customers like that, once, until the atropa had consumed them. Until they craved it so much they parted with the last thing they had of value. Their five-year-old daughter, sold into servitude for one more bottle of it. Atropa temporalis. 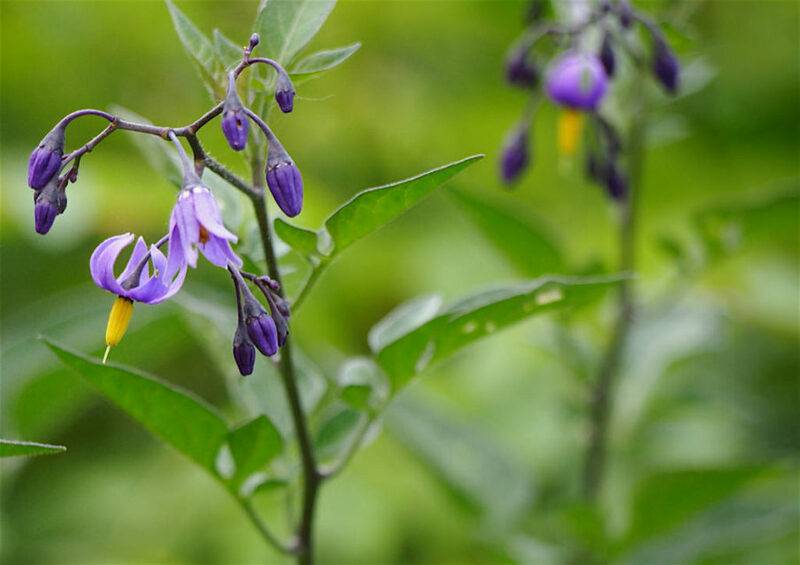 A cousin of the deadly nightshade. A drop of its distilled essence in your eye opened the door to the future. It was supposed to show you visions of things to come. Rattigan had made his weight in gold a thousand times over, peddling his bottled filth. She wondered why it only ever showed good things. And how could it be the future? If you spent all your days lying on a chaise, watching a perfect day with your soulmate, how did you ever meet them? But she rarely asked questions of Rattigan. He did not like questions. She asked Rattigan once why he wanted a child. What use would a five-year-old girl be to him, if he had no intention of loving her? For her slender, quick fingers, he replied. Does less damage to the flowers, he said, and then ordered her back to the greenhouses. She wonders what Rattigan will do with her when her fingers are no longer slender or quick. Someday, she will burn them, decided Tara. Let the flowers go up in smoke, the greenhouses and Rattigan’s laboratory too. Until then, she has work to do.